Ghanerao located in Pali district is located midway between Jodhpur and Udaipur and has been associated to the Ganerao castle popularly known as Ghanerao Rawla and boasts of unique Rajput style paintings. Still in vogue the villagers are into painting these Ghanerao paintings. 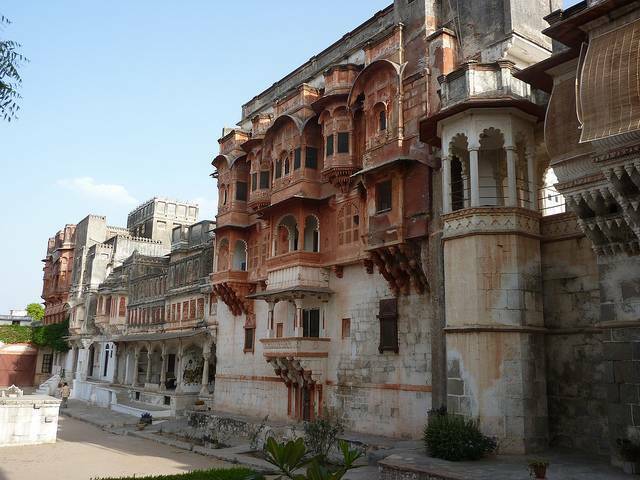 Also the town boasts of beautiful mansions and Havelis made out of red sandstone as well as 33 step wells popularly known as Baoris. Visit the Kumbalgarh national park as well as the Jungle lodge famous as the Bagha ka Bagh. Indulge in walk/ jeep /horse safari to Muchala Mahavir Jain temple and to crocodile dam and click pictures of crocodiles. The oldest amongst all crocodiles is Bhima. The Ranakpur temples which are Jain temples as old as 17th century are also 15 Km away from Ghanerao.